After seeing the how ‘Invisible-Glass’ could do away with the glares from our Smart-devices, now researchers in Germany have come up with a coating that will eliminate fingerprints and make our devices smudge-free. The researchers from Max Planck Institute for Polymer Research in Mainz have come up with a coating that repels oils and thus leaving no marks or prints on the glass’ surface. 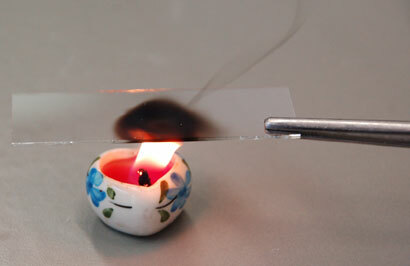 The researchers held the glass slide over a candle which led to the deposition of soot on the slide. To protect the soot from washing away, they coated it with silica and to get rid of the black colour of the soot, they baked the slide at 600 ºC, making it transparent. Later they sprayed various vegetable oils and what they found was that the oil droplets bounced up and down on the surface. This particular coating also works on aluminium, steel and copper. Also because it has both oil- and water-repelling qualities, the material is said to be “superamphiphobic.” This coating makes this glass smudge-free and can work wonders in device manufacturing.